Professor Toadvine will be on leave from the University of Oregon in Fall 2016. In January 2017, he will begin a new position as Director of The Rock Ethics Institute at The Pennsylvania State University. Touchstones: Geomateriality and Memory. Aron Gurwitsch Memorial Lecture, Society for Phenomenology and Existential Philosophy, Salt Lake City, to be presented 10/21/2016. Ecophenomenology in Retrospect. Roundtable on 20 Years of IAEP! International Association for Environmental Philosophy, Salt Lake City, to be presented 10/23/2016. Time to Stop Dreaming About the End of the World. The International Association for Environmental Philosophy, Salt Lake City, to be presented 10/24/2016. 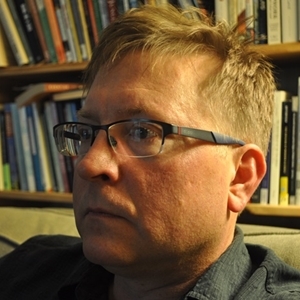 Ted Toadvine is Professor of Philosophy and Environmental Studies and a Participating Faculty member of the Comparative Literature Department at the University of Oregon. He served as Head of the Department of Philosophy in 2011-2014. Toadvine received the University of Oregon’s Fund for Faculty Excellence Award in 2013. He was Resident Scholar at the Wayne Morse Center for Law & Politics and recipient (with biologist Brendan Bohannan) of the Oregon Humanities Center's Robert F. and Evelyn Nelson Wulf Professorship in the Humanities in 2009-2010. In 2010-2011, he was Visiting Associate Professor in The Environmental Studies Program at Oberlin College. Toadvine specializes in contemporary continental philosophy, especially phenomenology and recent French thought, and the philosophy of nature and environment. His current research addresses the philosophical and ethical significance of deep time, the eschatological imaginary of environmentalism, the relation between geomateriality and memory, and biodiacritics. He is currently completing two monographs—Eschatology and the Elements and Diacritical Life: Animality and Memory—as well as co-editing two volumes: Climate Change and the Task of Thinking (with Timothy Christion Myers) and Animality and Sovereignty: Reading Derrida's Final Seminars (with David Alexander Craig). He is also directing the 2017 issue of Chiasmi International on the theme "Merleau-Ponty's Legacy in French Thought." Toadvine is the author of Merleau-Ponty’s Philosophy of Nature (Northwestern, 2009) and editor or translator of six books, including The Merleau-Ponty Reader (Northwestern, 2007), and Nature’s Edge: Boundary Explorations in Ecological Theory and Practice (SUNY, 2007). He has published more than two dozen articles and book chapters, including recent articles in Ethics, Policy & Environment, Klēsis: Revue Philosophique, Research in Phenomenology, Graduate Faculty Philosophy Journal, Investigaciones Fenomenológicas, Tijdschrift voor Filosofie, and Alter: Revue de phénoménologie. He is editor of the 2013 issue of Chiasmi International (Volume 15) on the theme "Existence, Diacritics, Animality," and guest-edited the 2012 special 50th anniversary issue of The Southern Journal of Philosophy on the theme "Continental Philosophy: What and Where Will It Be?" Toadvine directs the Series in Continental Thought at Ohio University Press, the longest running English-language book series in continental philosophy. He is also Editor-in-Chief of the journal Environmental Philosophy and co-editor of Chiasmi International: Trilingual Studies Concerning the Thought of Merleau-Ponty. He is a member of the Board of Directors of the Center for Advanced Research in Phenomenology, Inc. and the International Merleau-Ponty Circle, and is a member of the Scientific Board of the Central European Institute of Philosophy (Středoevropský Institut Pro Filosofii) in Prague. He is a member of the Board of Directors of the International Association for Environmental Philosophy and served as the organization's Secretary in 2006-2008. He also serves on a number of editorial and advisory boards, including those for Environmental Ethics, Environmental Humanities, and PAN: Philosophy Activism Nature. Toadvine has organized or co-organized numerous conferences and events from the international to the local level, including the 2013-2014 Interdisciplinary Public Workshop Series on Biodiversity at Twenty-Five: The Problem of Ecological Proxy Values, the 2013 Conference of the Society for Phenomenology and Existential Philosophy, the 2009 Community Philosophy Institute on Ethical Responses to Climate Change in the Willamette Valley, the 2009 Wayne Morse Center Symposium on The Perfect Moral Storm: Ethical Challenges of Our Climate Crisis, the 2008 Thinking Through Nature Environmental Humanities Summit, and the 2005 International Conference of the Merleau-Ponty Circle. At the University of Oregon, Toadvine serves on the Environmental Studies Executive Committee and is a faculty ambassador to the Teaching Effectiveness Program. He is the faculty sponsor of the Human-Animal Research Interest Group and a member of the Climate Change Research Group. Merleau-Ponty's Philosophy of Nature. Evanston: Northwestern University Press, 2009. Editor, Existence, Diacritics, Animality. Chiasmi International: Trilingual Studies Concerning Merleau-Ponty’s Thought 15. 2013. Editor, Continental Philosophy: What and Where Will It Be? Special issue of The Southern Journal of Philosophy 50, no. 2. 2012. With Leonard Lawlor (eds). The Merleau-Ponty Reader. Evanston: Northwestern University Press. 2007. With Charles S. Brown (eds.) Nature’s Edge: Boundary Explorations in Ecological Theory and Practice. Albany: SUNY Press. 2007. Editor, Merleau-Ponty: Critical Assessments of Leading Philosophers, 4 vols. London: Routledge. 2006. With Charles S. Brown (eds). Eco-Phenomenology: Back to the Earth Itself. Albany: SUNY Press, 2003. With Lester Embree (eds). Merleau-Ponty's Reading of Husserl. Dordrecht: Kluwer Academic Publishers, 2002. 2004. Translation (with Leonard Lawlor) of Renaud Barbaras, The Being of the Phenomenon: Merleau-Ponty's Ontology. Bloomington: Indiana University Press. 2015. Nicolae Morar, Ted Toadvine, and Brendan Bohannan. Biodiversity at Twenty-Five: Revolution or Red Herring? Ethics, Policy & Environment 18, no. 1: 16-29. 2014. The Elemental Past. Research in Phenomenology 44, no 2: 262–279. 2014. The Time of Animal Voices. Konturen 7: 16-34. Reprinted in Environmental Philosophy 11, no. 1 (2014): 109-124. French translation published as “Le temps des voix animales.” Chiasmi International 15 (2013): 269-282. 2013. Nature’s Wandering Hands: Painting at the End of the World. Klēsis: Revue Philosophique 25: 109-123. 2011. The Entomological Difference: On the Intuitions of Hymenoptera. Poligrafi: Journal for Interdisciplinary Study of Religion 16, no. 61-62: 185-214. 2010. Life Beyond Biologism. Research in Phenomenology 40, no. 2: 243–266. 2009. Truth and Resistance. Graduate Faculty Philosophy Journal 30, no. 1: 111–124. 2009. Natural Time and Immemorial Nature. Selected Studies in Phenomenology and Existentialism, vol. 34, edited by Peg Birmingham and Len Lawlor. Supplement to Philosophy Today 53: 214–21. 2009. Music, Being, Nature. Corps et Signes. No centenário do Nascimento de Claude Lévi-Strauss e Maurice Merleau-Ponty. Edited by Jean-Yves Mercury and Nuno Nabais.Colecção Documenta (Lisbon) 5: 167–177. 2008. La resistencia de la verdad en Merleau-Ponty. Investigaciones Fenomenológicas, Special Issue: Merleau-Ponty Desde la Fenomenología en su Primer Centenario, 1908-2008: 237–53. 2008. The Reconversion of Silence and Speech. Tijdschrift voor Filosofie 70: 457–77. 2008. Le Passage du temps naturel. Alter: Revue de phénoménologie 16: 157–69. 2007. ‘Strange Kinship’: Merleau-Ponty on the Human-Animal Relation. Analecta Husserliana 93: 17–32. 2011. Spanish translation published as “Parentesco Extraño”: Merleau-Ponty Sobre La Relación Humano-Animal. Translated by Ana Cristina Ramírez Barreto. Devenires. Revista De Filosofía Y Filosofía De La Cultura 12, no. 23: 83-104. 2005. Gestalts and Refrains: On the Musical Structure of Nature. Environmental Philosophy 2, no. 2: 61–71. 2005. The Melody of Life and the Motif of Philosophy. Chiasmi International: Trilingual Studies Concerning Merleau-Ponty’s Thought 7: 263–79. 2005. Limits of the Flesh: The Role of Reflection in David Abram’s Ecophenomenology. Environmental Ethics 27, no. 2: 155–70. 2004. Singing the World in a New Key: Merleau-Ponty and the Ontology of Sense. Janus Head 7, no. 2: 273–83. 2001. Chiasm and Chiaroscuro: The Logic of the Epoche. Chiasmi International: Trilingual Studies Concerning Merleau-Ponty’s Thought 3: 225–41. 2001. Phenomenological Method in Merleau-Ponty’s Critique of Gurwitsch. Husserl Studies 17, no. 3: 195–205. 2000. Nature and Negation: Merleau-Ponty’s Reading of Bergson. Chiasmi International: Trilingual Studies Concerning Merleau-Ponty’s Thought 2: 107–18. 2000. The Cogito in Merleau-Ponty’s Theory of Intersubjectivity. Journal of the British Society for Phenomenology 31: 197–202. 1999. Naturalizing Phenomenology. Selected Studies in Phenomenology and Existentialism, vol. 25, edited by Linda Alcoff and Walter Brogan. Supplement to Philosophy Today 44: 124–31. 1997. The Art of Doubting: Merleau-Ponty and Cézanne. Philosophy Today 41: 545–53. 1996. Absolution of Finitude in Hegel’s Phenomenology of Spirit. Southwest Philosophy Review 12: 141–56. 1995. Hermeneutics and the Principle of Explicability. Auslegung 20: 59–75. 2015. Biodiversity and the Diacritics of Life. In Carnal Hermeneutics, ed. Brian Treanor and Richard Kearney. Bronx: Fordham University Press. 2014. Apocalyptic Imagination and the Silence of the Elements. In Ecopsychology, Phenomenology, and the Environment: The Experience of Nature, edited by Douglas A. Vakoch and Fernando Castrillón, 211–221. Berlin: Springer. 2013. Maurice Merleau-Ponty and Lifeworldly Naturalism. In Husserl's Ideen, edited by Lester Embree and Tom Nenon, 365–380. Berlin: Springer. 2012. Enjoyment and its Discontents: On Separation from Nature in Levinas. In Facing Nature: Levinas and Environmental Thought, edited by William Edelglass, James Hatley, and Christian Diehm, 161–189. Pittsburgh: Duquesne University Press. 2010. Ecophenomenology and the Resistance of Nature. In Advancing Phenomenology: Essays in Honor of Lester Embree, edited by Philip Blosser and Thomas Nenon, 343–55. Berlin: Springer. Reprinted in Environment, Embodiment and Gender: An Anthology on Man, Nature and the concepts of Nature, edited by Ane F. Aarø and Johannes Servan, 49–65. Bergen: Hermes Text, 2011. 2007. How Not to Be a Jellyfish: Human Exceptionalism and the Ontology of Reflection. In Phenomenology and the Non-Human Animal: At the Limits of Experience, edited by Christian Lotz and Corinne Painter, 39–55. Berlin: Springer. 2007. Culture and Cultivation: Prolegomena to a Philosophy of Agriculture. In Nature’s Edge: Boundary Explorations in Ecological Theory and Practice, edited by Charles S. Brown and Ted Toadvine, 207–22. Albany: SUNY Press. 2006. Limits of the Flesh: The Role of Reflection in David Abram’s Eco-Phenomenology. In Interrogating Ethics: Embodying the Good in Merleau-Ponty, edited by James Hatley, Janice McLane, and Christian Diehm, 249–64. Pittsburgh: Duquesne University Press. Reprinted from Environmental Ethics. 2005. Naturalizing Phenomenology. In Environmental Philosophy: From Animal Rights to Radical Ecology, 4th ed., ed. Michael Zimmerman et al., 326–34 (Upper Saddle River, NJ: Prentice Hall). Reprinted from Philosophy Today. 2004. Sense and Non-Sense of the Event in Merleau-Ponty. In Ereignis auf Französisch: Von Bergson bis Deleuze, edited by Marc Rölli, 121–34. Munich: Wilhelm Fink. 2003. The Primacy of Desire and its Ecological Consequences. In Eco-Phenomenology: Back to the Earth Itself, edited by Charles Brown and Ted Toadvine, 139–53. Albany: SUNY. 2002. Leaving Husserl’s Cave? The Philosopher’s Shadow Revisited. In Merleau-Ponty’s Reading of Husserl, edited by Ted Toadvine and Lester Embree, 71–94. Dordrecht: Kluwer Academic Publishers. 2002. Merleau-Ponty’s Reading of Husserl—A Chronological Overview. Appendix to Merleau-Ponty’s Reading of Husserl, edited by Ted Toadvine and Lester Embree, 227–86. Dordrecht: Kluwer Academic Publishers. 2001. Ecophenomenology in the New Millennium. In The Reach of Reflection: Issues in Phenomenology’s Second Century, edited by Steven Crowell, Lester Embree, and Samuel J. Julian. Center for Advanced Research in Phenomenology, Inc.
2011. The Chiasm. In Routledge Companion to Phenomenology, edited by Sebastian Luft and Soren Overgaard, 336–47. London: Routledge, 2011. 2010. Ecological Aesthetics. In Handbook of Phenomenological Aesthetics, edited by Lester Embree and Hans Reiner Sepp, 85–91. Berlin: Springer. 2008. Phenomenology and ‘Hyper-Reflection’. In Merleau-Ponty: Key Concepts, edited by Rosalyn Diprose and Jack Reynolds, 17–29. Stocksfield, UK: Acumen Publishing. 2007. Translation of Maurice Merleau-Ponty, Man and Adversity: Discussion. In The Merleau-Ponty Reader, edited by Ted Toadvine and Leonard Lawlor, 207–40. Evanston: Northwestern University Press. 2001. Translation (with Elizabeth Locey) of Maurice Merleau-Ponty, Reading Notes and Comments on Aron Gurwitsch's The Field of Consciousness. Husserl Studies 17, no. 3: 173–93. 2000. Translation of Françoise Dastur, World, Flesh, Vision. In Chiasms: Merleau-Ponty’s Notion of Flesh, edited by Fred Evans and Leonard Lawlor, 23–49. Albany: SUNY Press.